On November 4, 1812, President James Madison delivers to Congress the Fourth Annual Message. 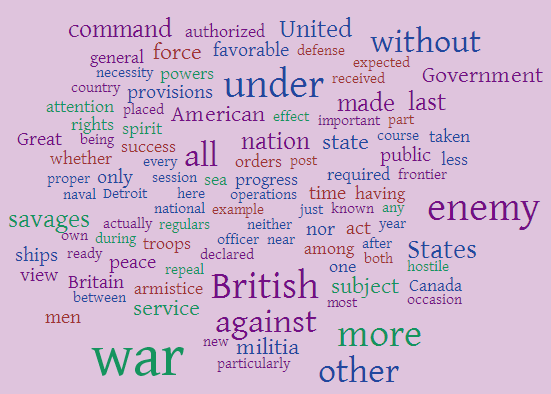 If we do not include articles, the top ten words, in terms of frequency, used by Madison were "our" (30 ), "war" (20), "under" (13), "them" (13), "enemy" (13), "British" (12), "without" (10), "against" (10), "states" (8) and "general" (8). Madison's address is reproduced below.